Click the following link to view the latest mask. The revolutionary Philips Respironics FullLife CPAP mask design is a great choice for both men and women who want the benefits of a full face mask, with the compact size of a nasal mask. The traditional forehead pad was eliminated to provide a clear line of sight, and replaced with a chin support band to ensure a secure fit. Leaks are reduced with a dual-textured grooved cushion that creates a solid seal even with sleepers who move a lot during the night. 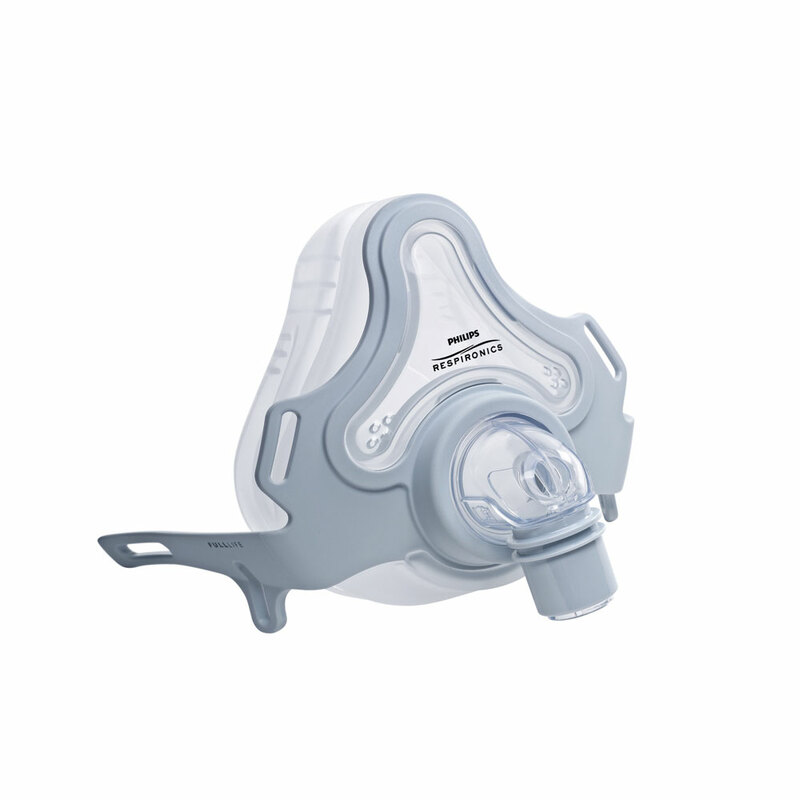 The headgear has a step-by-step numbering system to help with a secure and correct fit and easy removal of the CPAP mask. This mask has been proven to provide a maximum seal with minimal leakage. This newest design prevents uncomfortable pressure points on the bottom gums, a common problem with previous Full Face CPAP Masks. Philips Respironics designed this mask to allow all size cushions to fit on one mask frame. Only three replaceable parts makes this mask an economical choice. 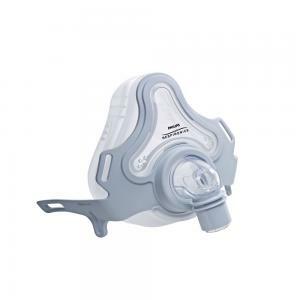 Both CPAP and BiPAP users with a wide range of pressures have had success with the FullLife CPAP Mask and Headgear. The removable cushion and headgear allows for easy maintenance. Extra cushion? : Please SelectYes, add SMALL cushion ($31) Yes, add STANDARD cushion ($31) Yes, add LARGE cushion ($31) No, thank you.